Pioneers in the industry, we offer 1.0 sq. 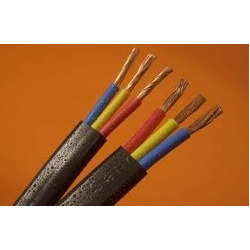 mm 3 core submersible wires, 10.0 sq. mm 3 core submersible wires, 2.5 sq. mm 3 core submersible wires, 4.0 sq. 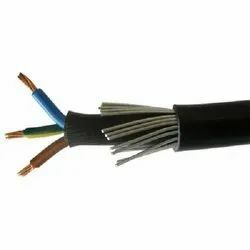 mm 3 core submersible wires, 6.0 sq. mm 3 core submersible wires and 3 core single multi core cable - 2.50 sq. mm from India. As a client centric organization, we are engaged in offering an exclusive Submersible Wires. 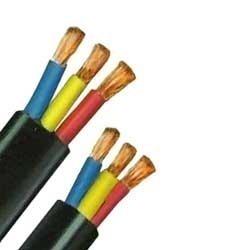 The offered submersible cables are manufactured under the supervision of our ingenious team of professionals by utilizing superior quality raw materials with the help of innovative techniques. These submersible cables are widely used to be fitted in submersible. Moreover, our respected customers can avail the provided submersible cables at cost-effective prices from us. KK KABEL SUBMERSIBLE CABLES are made of bright, plain, multi standard annealed copper conductor with PVC insulation. These cables are designed for smooth power supply even under adverse conditions. Used for submersible pump motors, these cables are available in standard length of 100 meters.